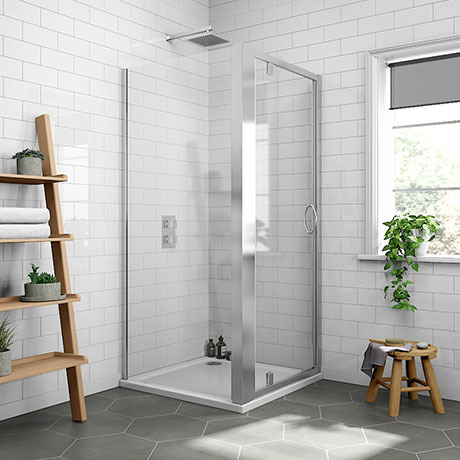 The modern Newark 800 x 800mm pivot door enclosure with shower tray, create a designer minimalist feel in your bathroom with the sleek lines of the 1850mm high Newark pivot shower door with side panel. Made from toughened safety glass with a stylish stain chrome frame. Supplied with a quality 40mm slim pearlstone shower tray. Please take note of the minimum and maximum adjustment measurements. Enclosure will not fit flush to the side of the shower tray, this is to allow room for tiling. Please note - waste sold separately. 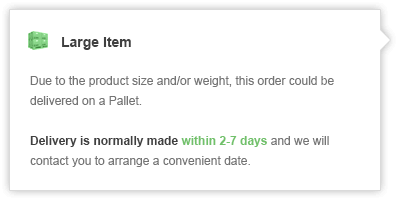 Hi Ritchie, Yes we sell the riser kit in a package with 2 x 1000 lengths. You'll need to cut these down to size. You can find this product by searching LEGA in our search area, just next to the logo. Hi, yes the door on this Pivot Door Shower Enclosure would be reversible. Hope this helps! I do like this shower perfect for any small bathroom. Excellent looking quality no complaints apart from one rubber tubing which seems to be difficult to slide into the door seal. Other than that great item. A great product at a great price.